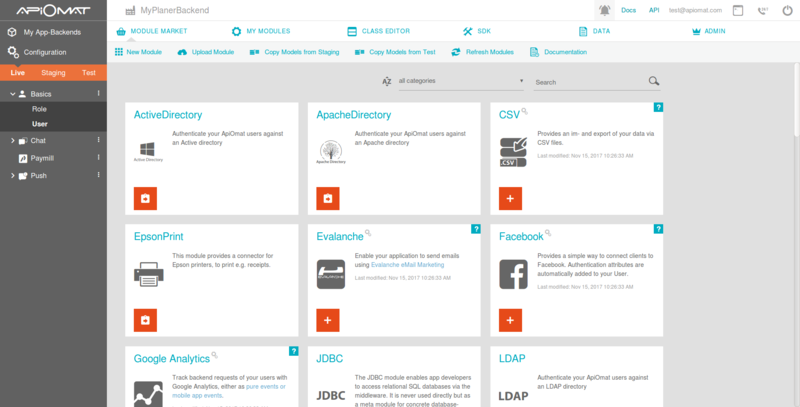 After logging in to ApiOmat, the dashboard opens and you can start building your App-Backend. Each screen offers an help icon in the ribbon bar where you can find more information about the screen. The navigation menu on the left side will let you switch between your App-Backends and the available systems. 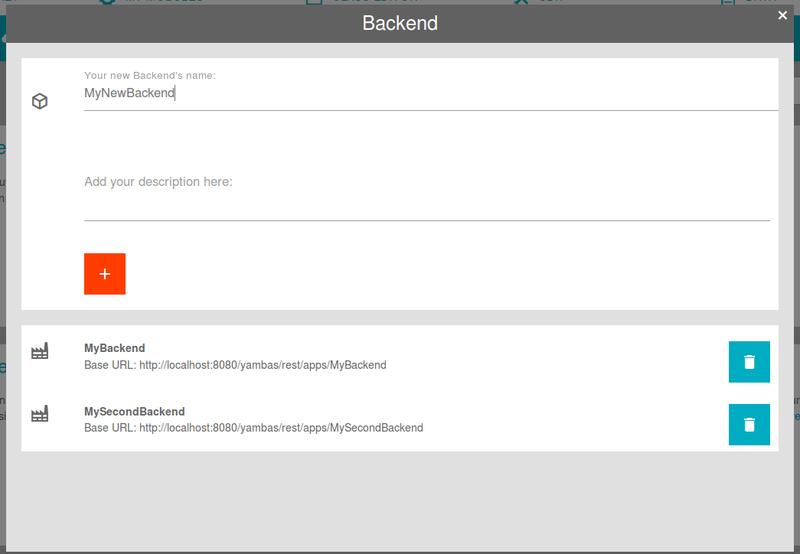 If you want to switch to another App-Backend, simply click on "My App-Backends" and select another one from the dialog. You can also create a new App-Backend with this dialog. Ususally, you begin developing in the test system, move to staging afterwards and later to live. You can copy all settings and data from each system to another using the ribbon icons of the main menu from the first screen. Please be aware that each system has its own SDK, and those SDK will only have access to the data and models deployed in the specific system. You have also an overview over the modules, which you have added to your App-Backend.